So Mathew was sent home this week and he has not had a good performance in the last few weeks. So America was right on. And James W. our favorite was saved by the instant save. Now we have found a way around the west coast being eliminated from the “instant save” and it just so happens that James was saved, possibly because our votes counted. This is what we did. The “instant save” opens for votes about 10 minutes before the show ends at 9:00 PM EST. So at 8:45 PM EST (5:45 PST) we started Tweeting our saves for James and “bingo” James was saved this week. We did our “instant save” without knowing James was in the bottom, kind of a “just in case” James winds up in the bottom two. (It worked). We were surprised to see Cole move on. It’s probably because Blake’s fans are voting the last one standing on Blake’s Team. Even though James is our favorite, right now it looks like Jacquie is the front runner. The girl can sing up a storm. Today on Ellen D.’s show Adam Levine was a guest and she asked him about why the west coast is not included in the “instant save”. Adam answered with “the voting is really crazy.” and never did answer the question. 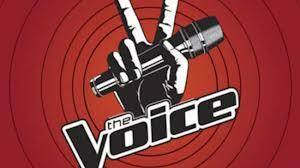 The only answer is The Voice executives don’t give a hoot about the west coast voting. Well, to them we say, if this keeps up we will stop watching next year and hey you guys, I am holding up my hand and giving you a west coast wave. You know what kind of wave, it’s like when your diving down the road and someone cuts in front of you without warning. Next Monday after The Voice episode ends another show we like “The Sing-Off ” starts it’s new season. In fact, we have been following this show from the day it started. Stay tuned and watch if you want to see folks singing without being accompanied by a band. (a cappella competition ). Other than having survived the Black Friday week-end frenzy of shopping spree, which will be described in our next post, we have nothing to add at this time. Monday was another live concert and Will doing an Etta James song just plain blew us away. That was the 2nd “WOW” and then Jacquie the amazing 16 year old was a “WOW! WOW!”. It always amazes us when someone that young can sing so great and with all that soul. We agree with Cee-Lo when he asked her “Did you swallow an old lady?”. How else could sh sing with such feeling. And then there is James W., or as we call him “The Singing Stockbroker” and still our favorite. He kicked off the show with an amazing Queen song and that was our 1st “WOW!”. At this point it looks like anyone can win, but the above mentioned our our top 3. On another note are you out there in cyberland ready for the deluge of Christmas commercials coming your way. The first we saw was the day after Halloween, Disneyland ran one and then 1 day later we saw a Walmart one. Nothing like starting early. Now we have to say that Monday was a highlight day because Lady Gaga was on the Ellen D. show and we are HUGE fans of Lady Gaga. In fact as we type this post the song “Poker Face” is running through our mind. The shocker was that we had never seen Lady Gaga without out all that elaborate makeup and outrageous attire. She showed up on Ellen just like anyone else except for the elf-like shoes. And you know what? She is very attractive without all the face “paste”. We thought the interview was also very insightful and we really enjoyed it. Yes folks the lady in Pink / Red is Lady Gaga. We have nothing else to report at this time except to wish all of you out there in cyberland a very Happy Thanksgiving and if your outside the USA, have a Happy and Peaceful Day!